Dancing Wind is arguably the most beautiful ranch on the coveted east side of the Paradise Valley and it actually adjoins the wilderness area. It enjoys an impressive setting with its lush valley meadows transitioning to the dramatic wilderness front. This incredible scenery actually harbors both a productive livestock operation and extensive wildlife. The icing on the cake is of course the sensational Jonathan Foote-designed owner’s residence. Located 10 miles south of Livingston on the east side of the appropriately named Paradise Valley, the 1,750± acre all-deeded Dancing Wind Ranch occupies the prime location in the lushest and most beautiful section of the valley. It essentially runs from just off the main north/south highway at an elevation of 4,800 feet, where the operating headquarters and 495± acres of meadows are located, to the Absaroka- Beartooth Wilderness boundary at over 6,700 feet. The ranch lies between the Deep Creek and Pine Creek valleys and encompasses the entire Pool Creek valley from the point that it exits the national forest. The headquarters area includes two attractive homes, a shop, helicopter storage, calving barn and corrals that support the entirely self-contained 230± cow ranching operation. To reach the owner’s residence in the upper reaches of the ranch, the paved access road takes one up the Pool Creek valley and then climbs up out of the valley to an elevated meadow where the 8,100± square foot custom stone home and classic wood barn are dramatically sited over a spring-fed trout pond. The views up the canyon into the Absaroka Mountains are sensational from this vantage point. Dancing Wind is a magnificently improved operating mountain ranch in the most scenic part of the Montana’s most beautiful valley. As one turns east off the East River Road, the ranch is laid out against the eastern horizon. Expansive meadows along the highway terrace up onto a series of irrigated benches. Pool Creek flows down through the buildings and the main paved road through the ranch follows this valley. As one ascends following the lush riparian corridor, open hillsides give way to more trees as the road crests out of the valley, winding its way back down to the owner’s compound not visible to anyone occupying the residence. Jonathan Foote is a legendary architect well known for his ability to perfectly site a house to take advantage of the views and the exposures. He did not let us down in this case. The views that look to the east through a dramatic canyon are unusual and absolutely awe-inspiring. The compound includes the main house, a “barn” and a lovely spring-fed trout pond. The upper portions of the ranch become more timbered and alpine in nature and are used primarily for summer grazing. In the interest of full disclosure, portions of the ranch were hit by a fire several years ago but most of it has been cleared, reseeded to grass and looks terrific. Dancing Wind Ranch is located 10 miles south of Livingston, 45 miles north of Yellowstone National Park and is accessed off the paved East River Road. The ranch lies in a contiguous block of deeded land running easterly from the highway to the Absaroka Beartooth Wilderness Area boundary which extends over 937,000 acres. This location places it in what many would consider the “sweet spot” in the valley where the mountains to the east are most dramatic and the valley floor incorporates lush meadows fed by Pine Creek and Deep Creek, whose valleys bound the ranch on the north and south. While very private, the ranch is an easy drive from Livingston with Bozeman lying an additional 22 miles to the west of Livingston. 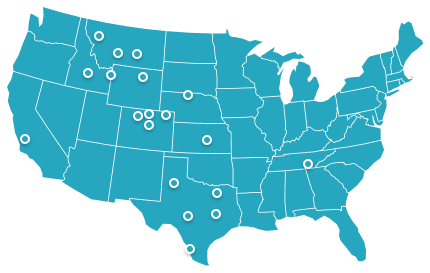 Bozeman offers extensive commercial air service to cities throughout the U.S. from Montana’s busiest airport. Private aircraft including most jets can land at Livingston’s airport. This combination of privacy and easy access is rare and sets Dancing Wind apart from other offerings. The Paradise Valley, which is the section of the Yellowstone River Valley that lies between Livingston and Yellowstone Park, is well known and sought after for many reasons. First of all it is arguably Montana’s most scenically beautiful river valley with the towering jagged peaks of the Absaroka Range forming its eastern border. It is known for its year-round spring creek fishing – Nelson’s, DePuy and Armstrong – and of course the Blue Ribbon quality fishing in the river itself. It is also the only year round access point to Yellowstone National Park and is home to Mountain Sky Guest Ranch and world famous Chico Hot Springs – a hot springs spa and gourmet restaurant that is a quintessential Montana institution hosting world leaders, Hollywood glitterati, itinerant tourists as well as a cross section of Montana and more local area residents. Located 14 miles south of Dancing Wind, Chico offers something for everyone and makes no distinction between its famous visitors and the average Montana family in to enjoy the hot pools and the more modestly priced accommodations. 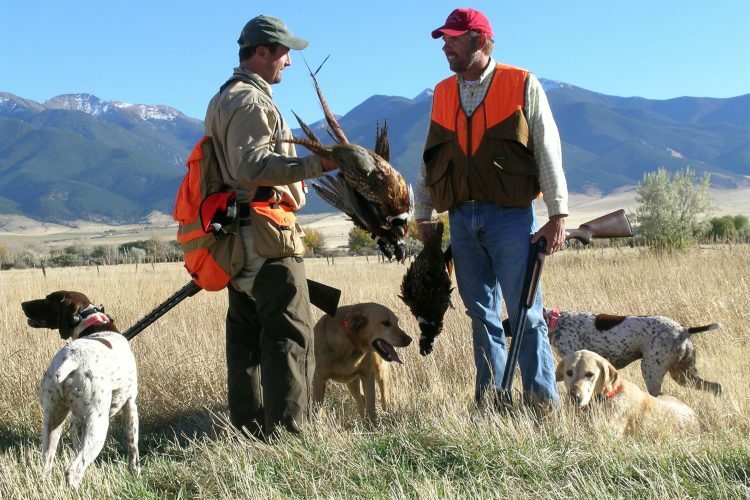 Livingston, 10 miles to the north, offers a full complement of services including galleries, restaurants, specialty shops, book stores and of course world-renowned fly-fishing shops such as Dan Bailey’s, George Anderson’s Yellowstone Angler and Sweetwater. Over the years Livingston and the valley have attracted artists, actors, and wealthy individuals and their families from the worlds of business and finance. 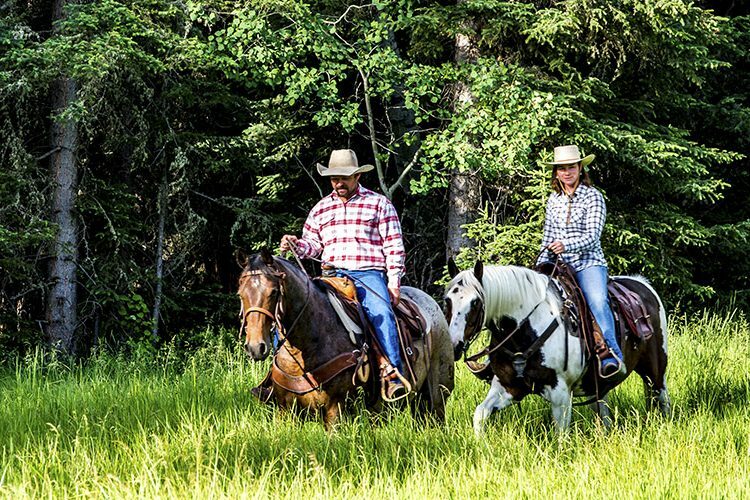 This has given the area a more sophisticated ambiance which combines nicely with the many strong Montana ranching families that live a more traditional, agriculturally based life in the valley. Dancing Wind has small ranching neighbors around it and one should not forget that it virtually adjoins the small village of Pine Creek. Pine Creek offers the well-regarded and thoroughly “local” Pine Creek Café which includes great food, seasonal weekly music, a bar, and some cabin-like lodging. It is not every ranch that offers such an amenity literally on its border. Dancing Wind is without question the major ranch in the immediate neighborhood and has had only one other owner since homestead days. Dancing Wind Ranch is located on the wet side of the valley which gets good consistent annual precipitation estimated in the 16 to 20 inch range. The lower end of the ranch at 4,800 feet would come in at the low end of this range and the upper end of the ranch at 6,700 feet might well exceed the upper end. This is advantageous because one enjoys a dry mountain valley climate where the buildings are located and the cattle are wintered, and a decidedly alpine climate on the upper parts of the ranch where cattle are taken during the summer grazing season. As is true of much of the land in the area, Dancing Wind was homesteaded reportedly in the 1870s by the Allen family and was gifted to Albert Allen by an uncle in the 1890s when he married Margaret Shorthill. Margaret is said to have been the first white child born in the Paradise Valley. Their descendants ranched there for 100 years until it was sold to Jay and Tamra Call. Jay passed away a dozen years ago leaving his share to his widow. It is apparent, when one visits the ranch, that they have loved it and cherished it. It is in absolutely immaculate condition and the ranch operation is doing extremely well. There are no conservation easements on the Dancing Wind Ranch. This is unusual in this day and age when critical areas of many of Montana’s major valleys have been protected from development by conservation easements. It goes without saying that Dancing Wind would be a prime candidate and a conservation easement donation would yield significant tax benefits to a new owner. 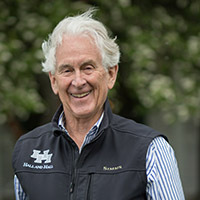 It is the preference of the owners to sell the ranch fully “turnkey” including the livestock, feed, equipment and furnishings in the main house. With that in mind, they will provide a current complete list of these items including a suggested sale price within 7 business days of the acceptance of a purchase offer. Said purchase offer may carry a contingency that the parties agree upon the list and the additional consideration. Owner’s Residence - Designed by renowned Livingston architect Jonathan Foote and built by On Site Management in 1997, this native Montana stone house is more a work of art than a residence. Measuring approximately 8,031 square feet -much of it on one level – this carefully sited home includes over 2,100 square feet of granite slab patios and a heated three-car garage with a wash bay. The house is long – running from easterly to westerly, offering a massive bank of windows with a predominantly southern exposure. The formal entry just off the garage, which is situated on the eastern end of the house, includes a powder room and a washing station for pets. It gives one a cozy feel with its weathered wood accents and modest scale. One has no concept of what one is about to see.Moving west from the entry, one moves into the functional center of the house. There is a full, open kitchen on the right with a huge pantry and counters which provide a serving area for the informal dining room table on the left. The ceilings are lower in this space with reclaimed beams as accents. The room then opens into a massive great room with an entire west wall of stone with a raised rock fireplace in the middle, and huge windows looking out to the southeast. This room is designed for many uses as it includes a formal dining area on one side, a comfortable seating area in front of the fireplace, a gaming table to the left side of the fireplace and on the right side of the room there is a beautiful cherrywood bar and an adjacent pool table. One can climb to the balcony above to enjoy a media area which overlooks the rest of the living room. The great room has elevated ceilings that are pickled white, with old weathered beams creating a wonderful contrast and making for a very light and inviting atmosphere. As one moves westerly down a hallway from the great room, there is a powder room before one reaches a large comfortable guest room with bathroom on the left. One then moves through a glass-enclosed passageway to the master suite which includes a separated full laundry room, a large bedroom and his-and-her bathrooms with full walk-in closets in-between. There is a circular staircase that accesses a downstairs office and exercise room, and a series of utility and storage rooms in the balance of the basement that lies under the western part of the house. Returning to the formal entry one can also go up one flight of stairs to access what amounts to a large two-room guest suite with full bathroom over the garage. This suite, with its large windows, occupies a prime spot as its extensive windows look right at the impressive canyon and cliffs that frame the views to the east. The Barn - Located to the east of the house, one actually enters the haymow through a welcoming covered porch entry. This space is well lit and has clearly been utilized more for parties than for the storage of hay. The main floor below includes a bathroom and kitchen area, three full stalls with waterers for horses, a separate tack room/office and a small work shop. Manager’s House – Approximately 2,800 square feet in a nicely landscaped yard, this comfortable home includes four bedrooms and three bathrooms. Second Home or Guest House – Also in a well landscaped yard this 2,700 square foot house contains three bedrooms and three bathrooms and is of similar quality to the manager’s home. Shop – This is a 60’ X 100’ metal building on a foundation with concrete floors. Calving Barn – A 30’ X 125’ steel building used primarily for calving. It is heated and includes a loafing area with stalls and hay storage. Barn – 36’ X 60’ traditional barn with hay loft. This is a very lush ranch with live creeks, springs, wells, and filed irrigation rights. Irrigation water rights from Pool Creek, Deep Creek and Pine Creek go back to 1882 and are amongst the earliest recorded. Irrigation is virtually all by gravity power through three pivots, wheel lines and flood irrigation. Real estate taxes are estimated to be approximately $25,000 per year based on past years’ history. The small pond under the owner’s residence is stocked with rainbow trout, some of which are extra-large. The ranch, however, does not harbor a live-water fishery of any consequence due to the fast-flowing mountain streams that pass through it. It is situated within a short drive of both the Yellowstone River and multiple world-renowned spring creeks, giving it an enviable location for an avid fisherman. Likely the most prolific and scenic section of the Yellowstone River lies between the Pine Creek Fishing Access and the Carter’s Bridge Fishing Access. This is the section where all the above-mentioned spring creeks enter and enrich the river. The legendary waters of Yellowstone Park are just 45 minutes to the south. For the adventurous, several mountain lakes are perched in the cirques of the Pine and Deep Creek drainages. There is a significant elk herd that hangs out in the national forest behind the ranches in this area. Bulls estimated to be in the 350 to 390 class are reported to be a part of this herd. These animals are found on the ranch from time to time, and do enjoy the meadows and the hay stacks seasonally. Whitetail and mule deer can also be found throughout the ranch. Both species of bear are in evidence as well. Mountain lion and moose are often to be found on the ranch and its immediate environs. It is also home to a variety of raptors and smaller mammals such as coyotes. Wildlife populations are enhanced by the protection of the adjacent wilderness which adjoins Yellowstone National Park. Because of this, on any given day one never knows what one might encounter on the ranch. While Dancing Wind is clearly a highly scenic retreat-type ranch, it does have a balanced and viable cattle operation which absorbs many of the annual carrying costs of the ranch. It comfortably carries 230 running-age mother cows plus bulls and horses. Under current management it produces more than adequate hay to winter the animals it will summer. 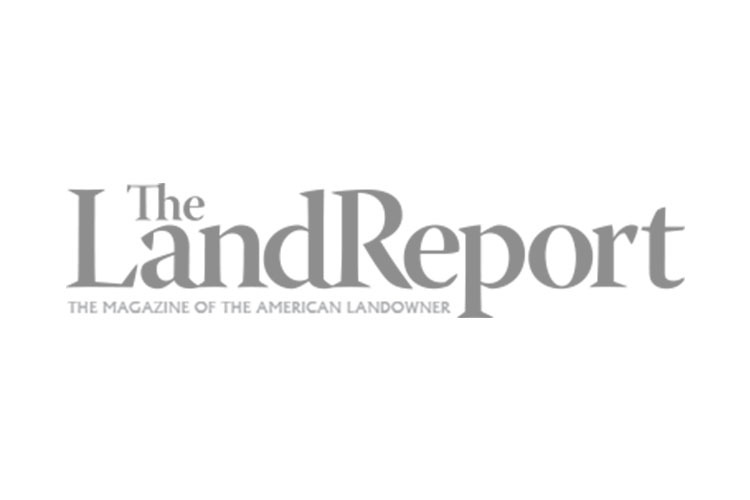 If a new owner did not want to engage in an active cattle operation, the operating components of the ranch would be in high demand from local ranchers to lease it.